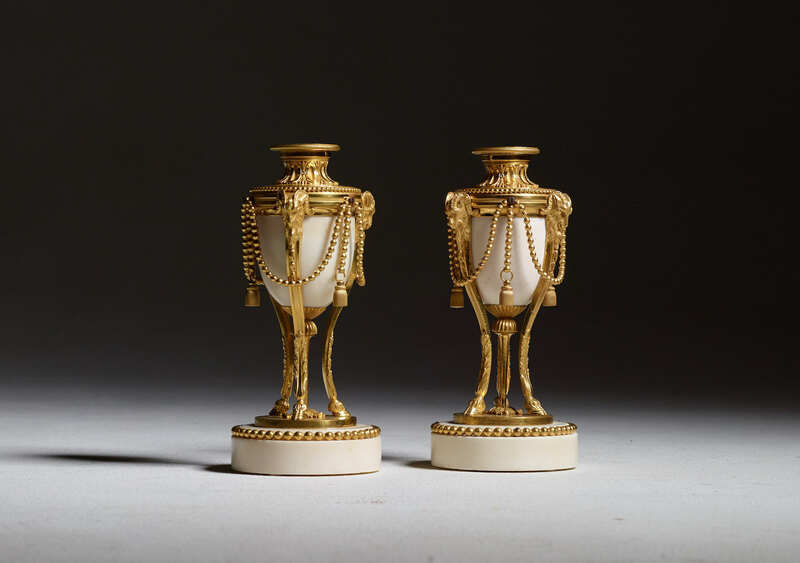 A pair of French Louis XVI cassolettes circa 1785 with Ormolu mounted marble. 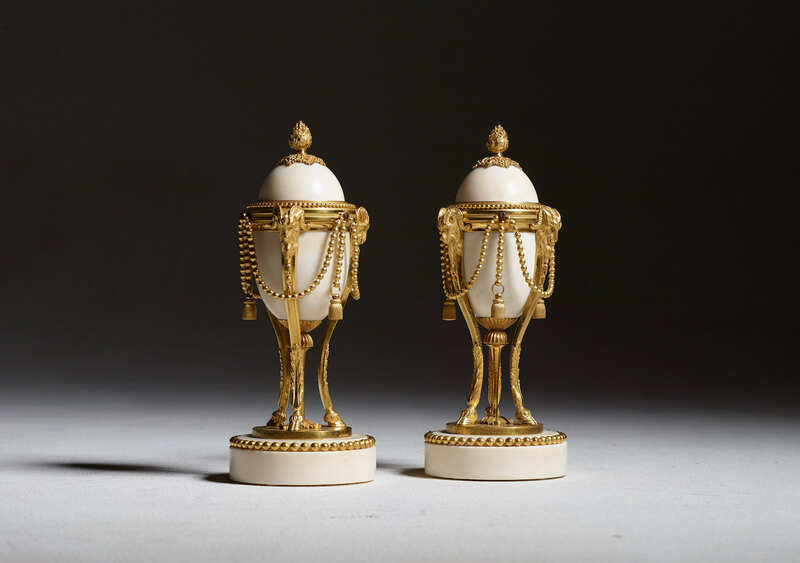 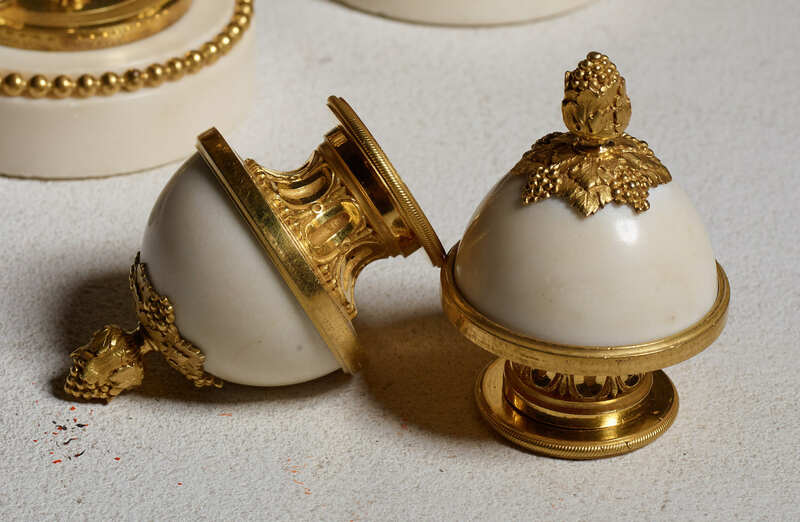 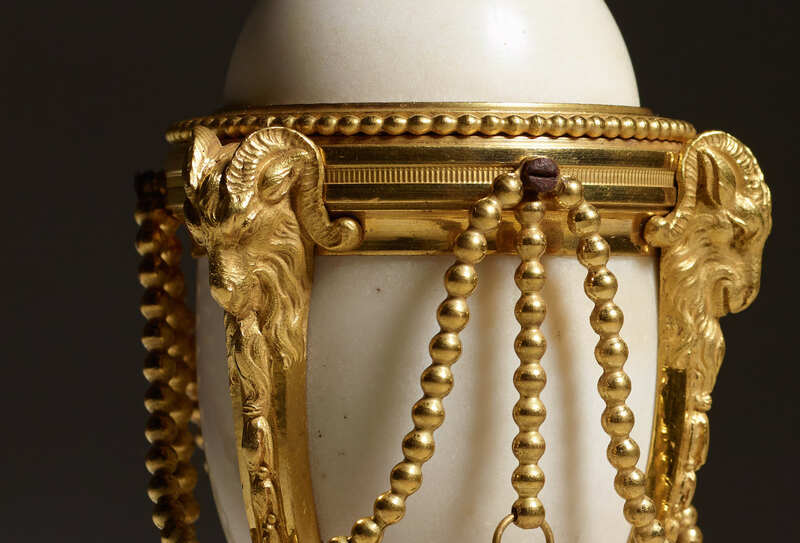 Each with a ovoid marble body and a domed reverseable cover fitted with a candle-holder. 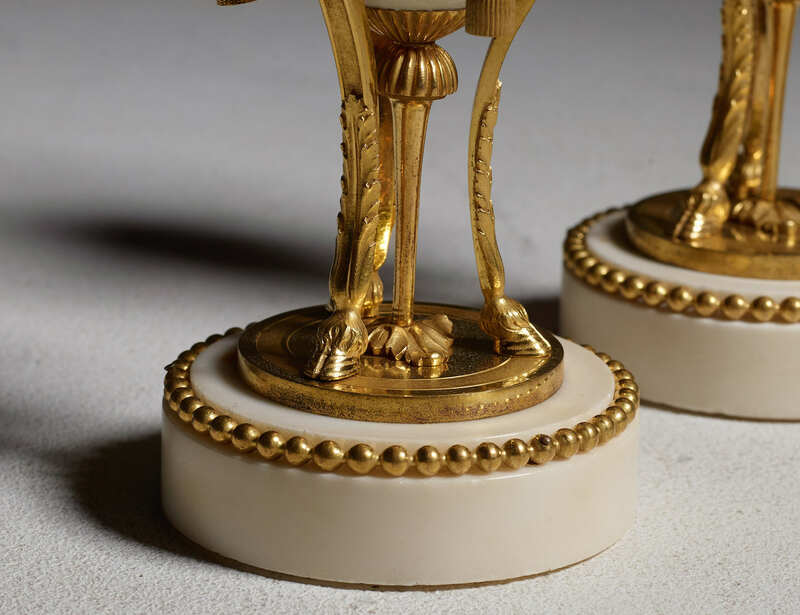 The marble body Surmounted with rams mask and beaded swags on a circular marble base.